Matthew Cheyne’s large-scale, hyper-colour oil paintings are full of an optimism that infuses even the darkest subject matter. His latest body of work is peopled with faceless hooded figures. Thieves, looters and bystanders are set against abstract, ambiguous landscapes. Cheyne delights in playing with the attraction and repulsion these scenes allow for, holding his vivid colours in balance with the dark ambiguity of his compositions. 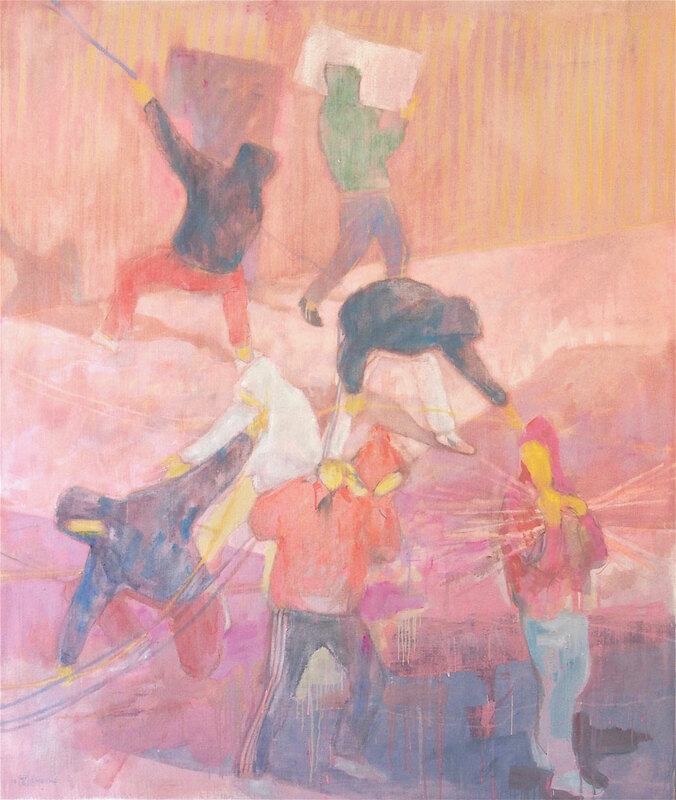 Image: Matthew Cheyne, Copper thieves 2018, oil on linen. Courtesy of the artist.